We all receive messages from those in the non-physical. They may come in whispers, an inner knowing, a gut instinct or a heartfelt impression. Channeling is the process of allowing these subtle messages to flow freely through your being. There are several styles of channeling, ranging from chatting with your guides to allowing them full possession of your body. You are always the one who determines your comfort of connection. This style of communication can extend to your animal friends, dearly departed, Guides, Higher Self... or whomever you wish to communicate with. We will explore multiple techniques to make connections and channel messages. This includes automatic writing, instant downloads, musical mediumship, Light Language, receiving and passing along information and direct channeling. There are unlimited ways to be an energetic conduit! Bonita meditates with and channels many guides & several collectives. 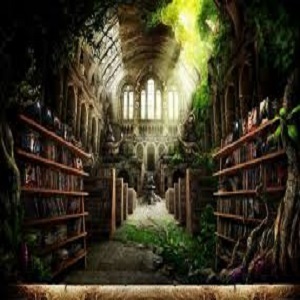 These days she works predominately with Gaia Divine Mother of All, The Librarians of the Akashic Records, the InterGalactic Council of Healers, Way Showers & PeaceMakers and the specific sub-group within, the Dancers of the Divine Light. This is your opportunity to open your Divine Messengers and personal LightBeings of Love. Tap into Cosmic Information Highways and InterDimensional Wisdom! In this fun, interactive program, we will focus on Spoon Bending, Small Object Levitation and Telepathic Communication. Bonita will also share tips to incorporate your new skills with your current skills and practices. Students will learn a variety of techniques and receive hands-on practice with Telepathy & Empathic messaging, Telekenisis, (spoon bending & small object levitation), Psychometry (reading information from objects), and possibly seed germination, pyrokinesis, or whatever else we find time for that the class is interested in learning. Class format is a combination of presentation, practice and guided conversation. Activities include actual practice of all of these skills! We will also discuss how you can best continue practicing your new skills and how to incorporate them with your current work. You will be amazed at the abilities that are currently resting within your being! Here is a video of Bonita bending spoons. Weekend programs occur 10 AM to about 5 PM each of the 2 workshop days. Each day we will have a 1 hour break for lunch and several additional short breaks when or if needed. Additional evening presentation can be added upon request. We will explore methods of creating internal "gut energy", including the inspirational speech, chakra meditation, Earthing & nature healing, Angelic resonance, diet and specific stretches. There are many ways to connect with your inner being, from the purely physical to the divine aetheric. We will explore global and historic, focusing predominantly on Shamanic and Auyervedic techniques. We will expand our relationship to our personal energy core! We will work with each primary chakra individually and with each other. Then we will connect with your personal energetic ley lines. 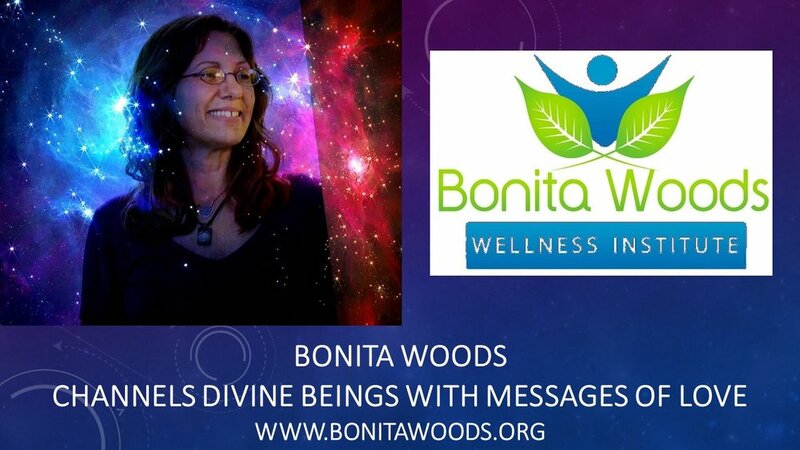 Bonita will show you how to bring specific divine frequencies into resonance with your being! Working with your inner energies and cosmic connections on a detailed level increases your overall energetic control. This program includes Aura Photography at the start and end of each day! Do you ever wonder what your previous lives were like? What you were like while living them? Are any of your current skills or personal distresses residual material from these times? Each and every one of us has the ability to access our personal Akashic Records. Join Bonita to learn: Multiple techniques for gaining access to the Akasha; The many different forms and appearances the Akasha and Akashic Records can take and how to work with them to learn your personal messages; Recognizing signs & messaging from your Higher Self, Soul-Family & your actual Past Life Selves while in your current everyday life. Learn to recognize members of your Soul family and when past life relations come into your current life; to communicate with your past lives, heal past distresses and resolve old issues especially those that are affecting your current day life; to bring your past life energies into alignment with your current day life. Learn to work with your Ego, 3 Heart Centers and Guides to fully embrace and fill your body with total Healing and Love. We will also discuss the power of Chakra, Grid and Mandala work. Learning to focus, direct and connect your Heart Energy with networks that can put it to good use. This program will help you to support your personal well-being, connect with Divine Energy and channel love to global grids. You will learn to communicate with the Mandalas and Networks you channel to. NOTE: We share edited video moments of all Bonita’s work on social media but take every precaution to respect the privacy of our clients’ identities. We do not share information that is specific to our clients’ current life personal issues or relationships.